we had and have just a lot to do to reach our goals. Meanwhile we started to work on the 1.0 Version of Broadway... Yeah! 1.0 ! After 5years we plan to reach it in 2016... ..
Well.. of course I could have called it in the past 1.0 already but I had dreams and targeted more features than just a own Iconset. Broadway has to be different and to offer special features. It manages videos, music, fotos. Check www.indiego-gaming.com for extra information. We introduced indieCoins as payment method inside the AppStore. IndieCoins have nothing to do with virtual currencies like BitCoins! 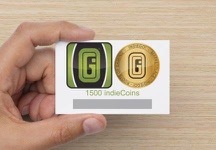 IndieCoins are a sort of community money. There are many reasons why we choose this. I. 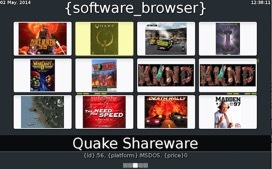 We can give those as bonus points to our customers, so they can spend it on Amiga/AROS related Software they like. III. Remaining coins can be directly donated to indieGO!-Developers. Our VAN-player can play this new type of media called VAN (VectorAnimation). With AmiCloud you get a 1GB cloud-storage for a one-time fee of 500indieCoins (around 5€). The storage size will be raised after beta. Everyone participation in the beta-time will get 2x the storage size of everyone buying it after the beta. So if the later basic storage is 2gb for new users, Ex-betatester will get 4gb. AmiCloud is also available for Windows, MorphOS, AmigaOS4. Soon we will release AmigaOS3.x, Linux and OSX Versions. AmiCloud is exclusively available in the indieGO!-Appstore.